Embark on a family adventure, relax on sun-drenched beaches, swim with penguins & spot wildlife together; a magical journey for your family. This family-friendly adventure combines the best of Cape Town beaches with the best of the bush; a holiday that offers a child-friendly environment as well as quality family time. Cape Town is an extraordinary city loved by many, home to the iconic Table Mountain, the crystal blue Atlantic Ocean, a rich culture, world-class beaches and pristine vineyards. 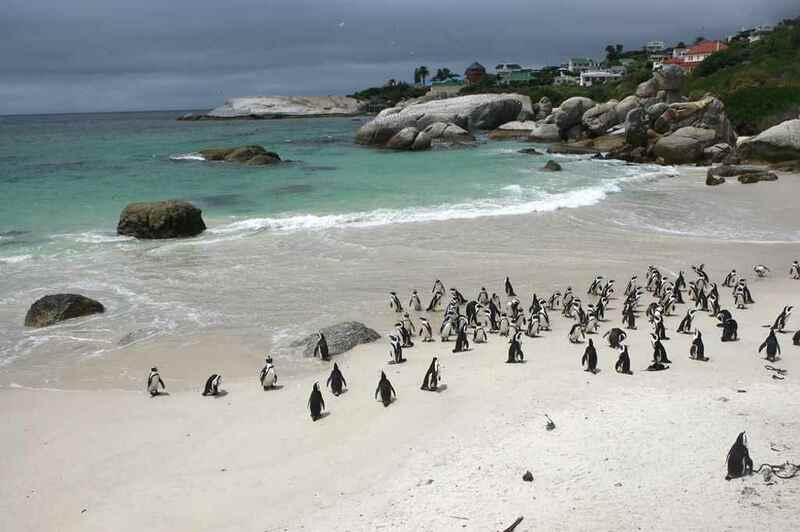 It’s a playground for families with its many child-friendly activities such as the Two Oceans Aquarium, the penguins at Boulders beach and sun-drenched beaches offering endless days of summer sunshine. 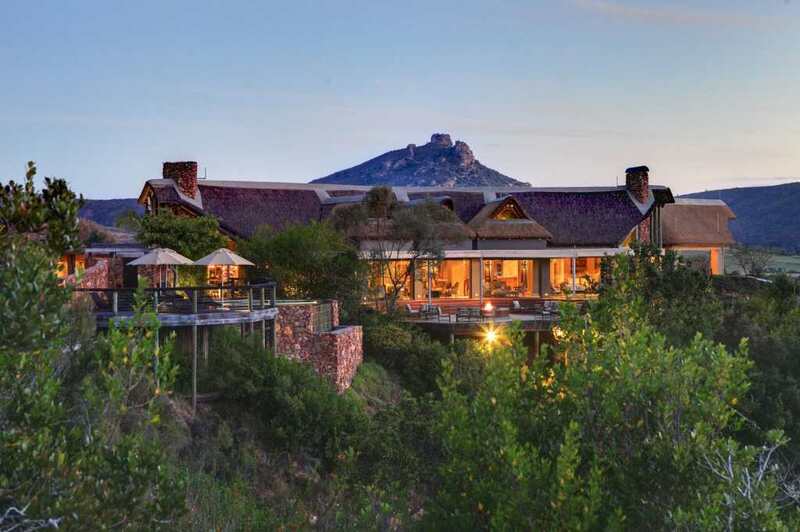 The impressive Botlierskop Private Game Reserve is set among spectacular mountain ranges between Mossel Bay and George along the beautiful Garden Route with a variety of wildlife and family-friendly activities. 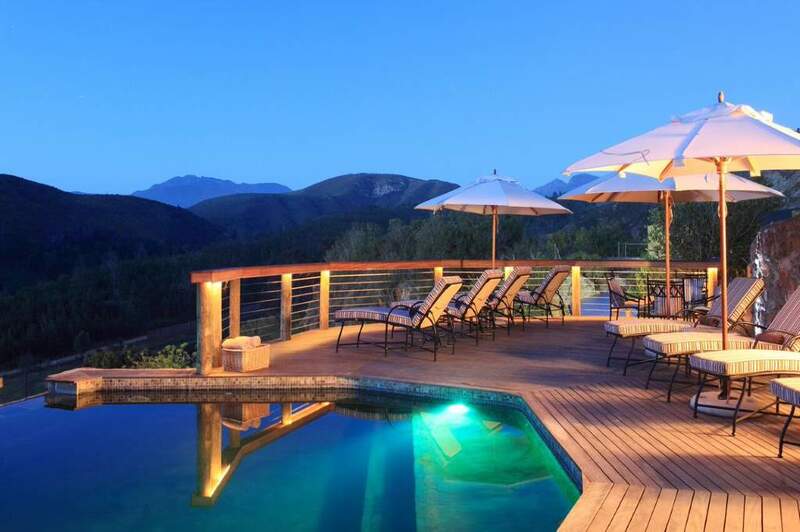 Botlierskop is ideal for families and highlights include safari activities, horse riding, a swimming pool, a riverside spa, two indoor fire-places and an open-air deck offering spectacular views. BEST TIME TO GO South Africa offers year round family-friendly activities for families looking for a fun-filled holiday destination. The best time for this particular beach & safari holiday is during the warmer months which are from September until end of March. 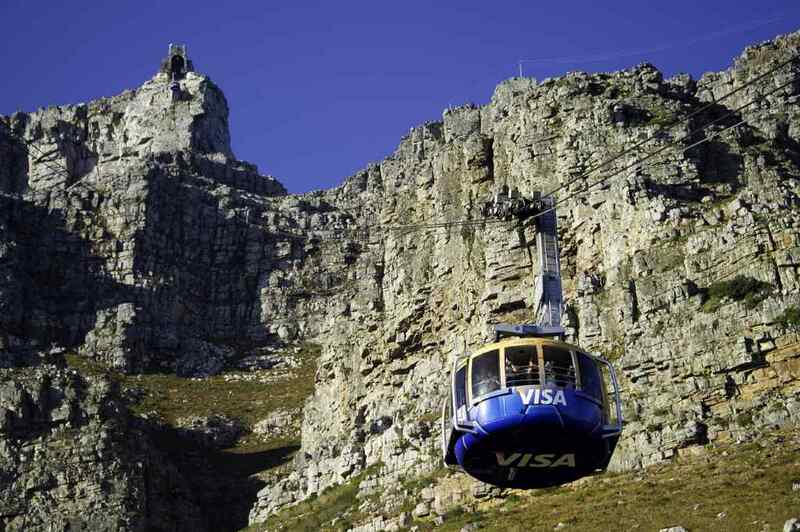 South Africa offers incredible opportunities for a quality family holiday. If you are looking for an adventure then this South Africa Family Beach & Bush Safari is perfect for your family. On arrival at Cape Town International Airport, you will be warmly welcomed by a representative and assisted with the pick-up of your rental car from where you will drive towards the Victoria & Alfred Hotel where you will stay for 3 nights in a Mountain facing family suite on a bed and breakfast basis. Spend the afternoon at leisure enjoying the hotel facilities. The Victoria and Alfred Hotel offers an elegant colonial atmosphere in a superb location on the pier-head of the world’s most famous working harbour, the renowned V&A Waterfront. 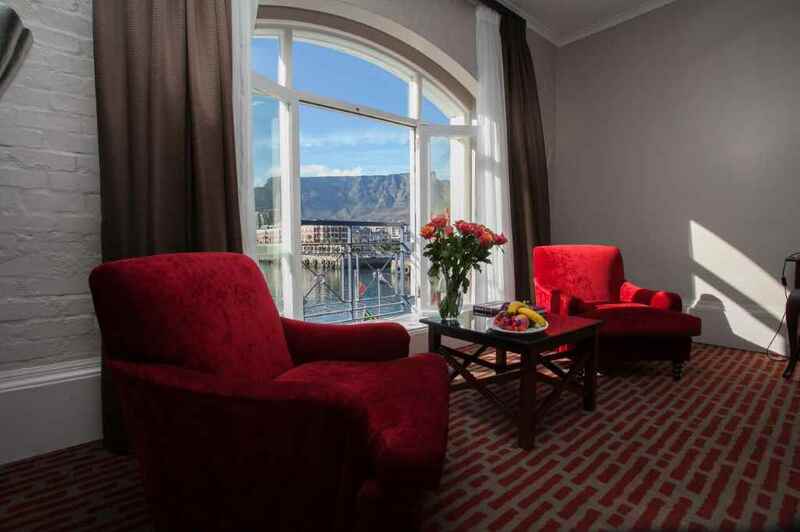 The hotel offers family-friendly accommodation in Cape Town making it ideal for a family holiday. This luxurious hotel offers 94 beautifully designed modern rooms, boasting world-class hospitality and magnificent views of Table Mountain. Room facilities include coffee and tea making facilities with a private bar, electronic safe, wireless internet, a Flat screen television and trouser press. Every room has either a view over the Alfred Basin or Piazza. General hotel facilities include complementary Wireless internet access, a designer Spa and treatment rooms, state-of-the-art Gym Facilities, a pool area in a beautifully manicured garden situated at Dock House Boutique Hotel, a pool bar at Dock House Boutique Hotel and alfresco dining at OYO Restaurant or Dash Restaurant. 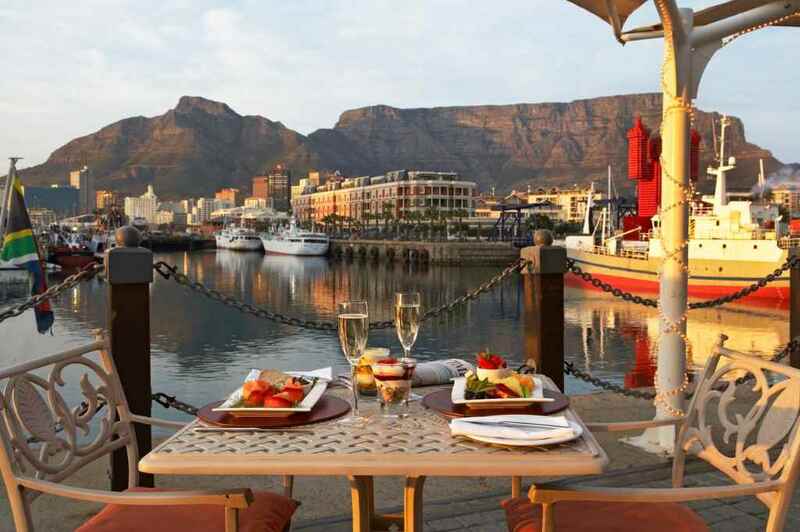 After a delicious breakfast, you will have leisure time to explore the beautiful city of Cape Town at your own pace. All activities need to be pre-booked and are at an additional cost. 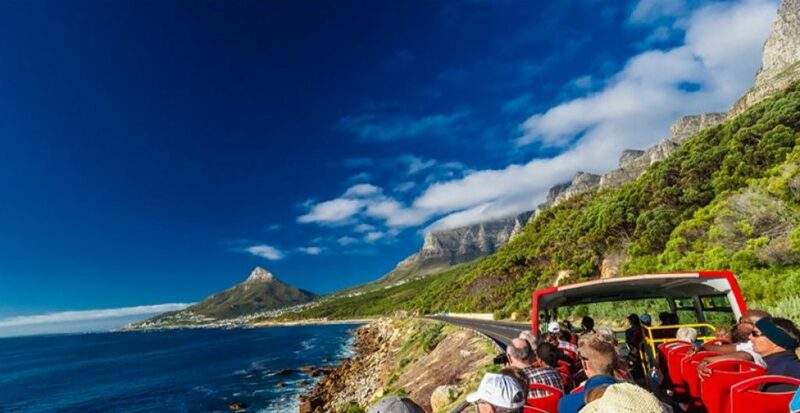 Hop on and hop off the double-decker Red bus with City Sightseeing and discover Cape Town. After breakfast, you will check out and drive along the N2 towards the Garden Route. The journey from Cape Town will take approximately 4 hours. On arrival at Botlierskop you will check into a Deluxe tented Family Suite where you will stay for 3 nights including all meals and 2 safari activities per day. 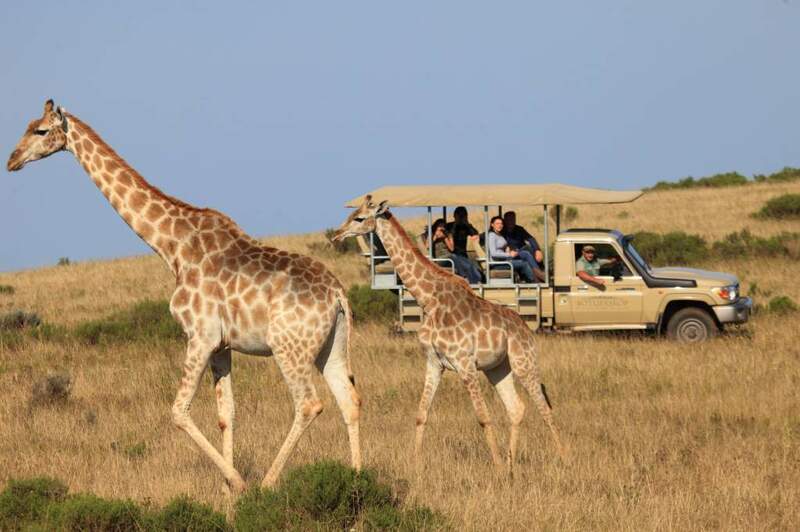 The spectacular Private Game Reserve is situated on a 3000 hectare wilderness area between Mossel Bay and George along the Garden Route. 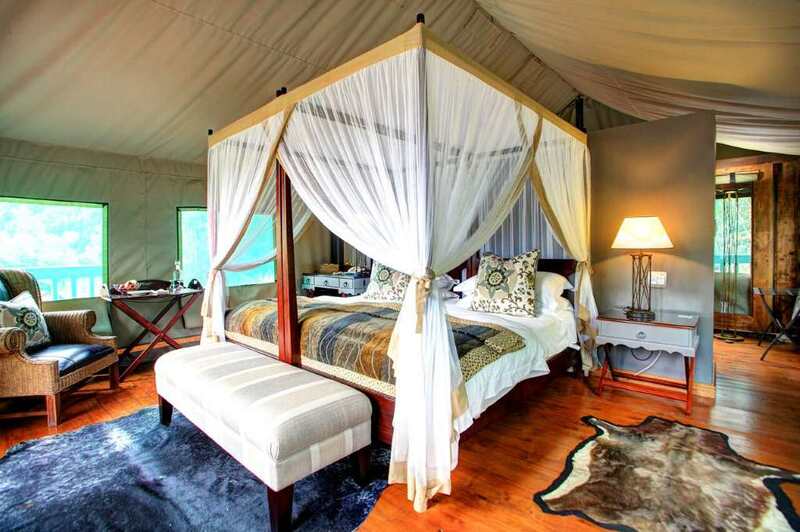 Set among magnificent mountain ranges, the reserve offers an enormous diversity of wildlife and exciting activities combined with luxurious, tented accommodation in elegant private suites positioned along the riverbank. The reserve offers an array of facilities including an open-air deck, a swimming pool, a riverside spa, two indoor fire-places and an exceptional restaurant. Wildlife at the reserve includes, among others: the rare Black Impala, Rhino, Buffalo, Giraffe, Mountain Zebra, and Lion. 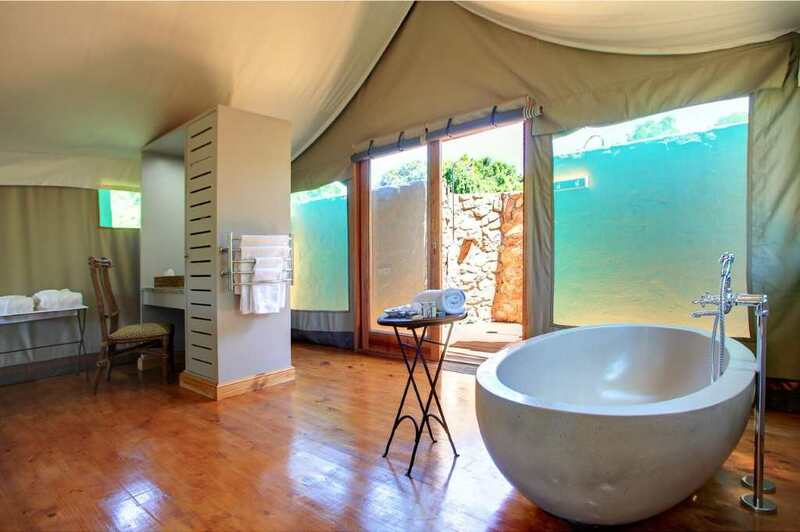 Activities include elephant picnics, horseback safaris, guided game drives and helicopter flights to name but a few. 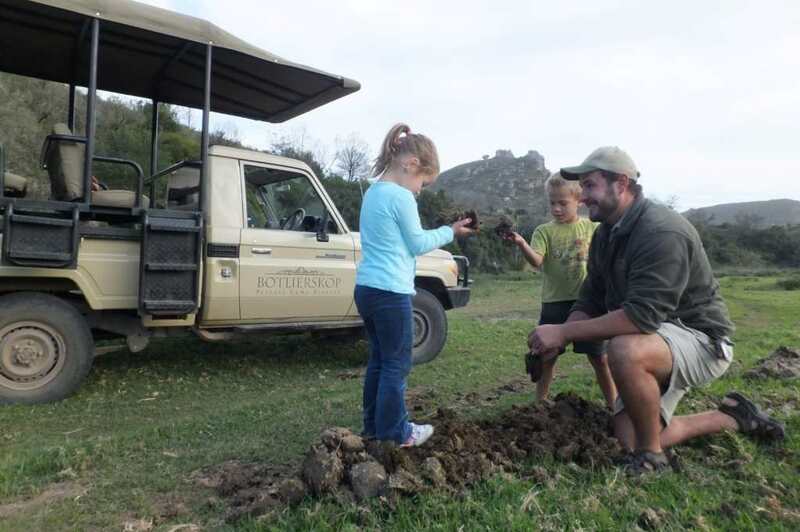 After breakfast you can enjoy one of the many family-friendly activities available at Botlierskop Game Reserve. 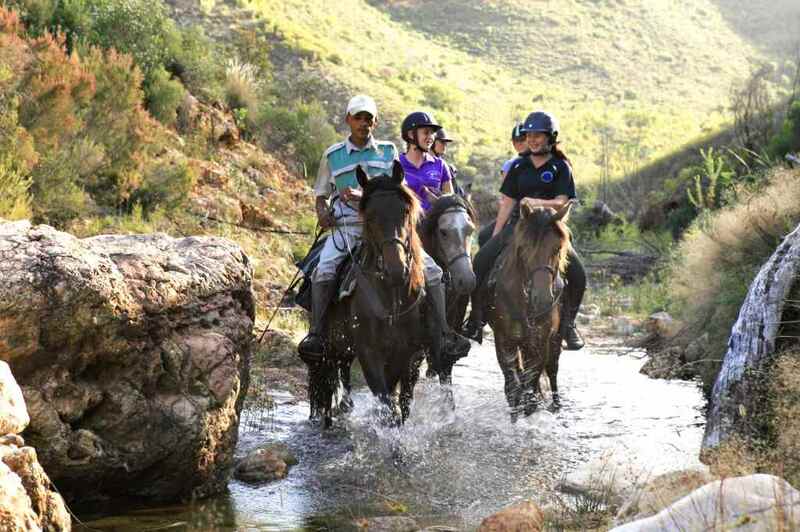 Activities include: guided game drives, horseback safaris, guided bush trails, fishing, tennis and canoeing. The fishing excursion, Junior ranger program and Kids Spa Treatments are ideal to keep children entertained. After breakfast and check-out, you will depart Botlierskop Private Game Reserve and head back to Cape Town International Airport.